Aviation Updates Philippines - Philippine President Benigno Simeon Cojuangco Aquino III arrived at Nay Pyi International Airport at past 3 pm. President Aquino flew Philippine Airlines flight 001, a chartered flight, which is operated by an Airbus A340-313 with the tail number RP-C3438. The chief executive said that he will update the leaders of the region on the progress of the Philippine filing before the International Tribunal on the Law of the Sea regarding disputed areas of the South China Sea. The ASEAN summit occurs amid rising tensions in the South China Sea between Vietnam the Philippines and China which all have claims over portions of the waters. The Philippines has rejected a China bid to release a Chinese fishing vessel it arrested in half Moon shoal. In December last year, President Thein Sein visited the Philippines upon the invitation of President Aquino. "On 19 to 20 May this year, Philippine and Myanmar aviation officials will discuss in Yangon the air services agreement between the two countries, which may result in the first direct flights between the Philippines and Myanmar," he said in a report of ABS-CBN News. 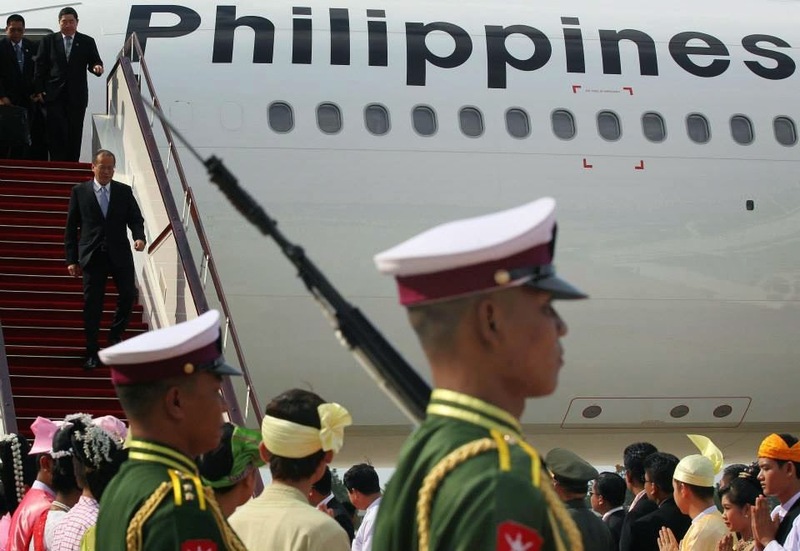 The Philippine President, on short-haul flights, uses the Philippine Air Force's F-28 Fellowship for Presidential Airlift while on medium-haul to long-haul flights; he flies a chartered flight operated by Philippine Airlines. Note: HAPPY MOTHER'S DAY TO ALL MOTHERS AND ACTING LIKE MOTHERS!